I'm a big enthusiast of EdGun Leshiy, which is in my opinion the most versatile compact PCP ever and another game changer of airgun world from EdGun. For the record - the first one was introducing bullpup to airgun industry. 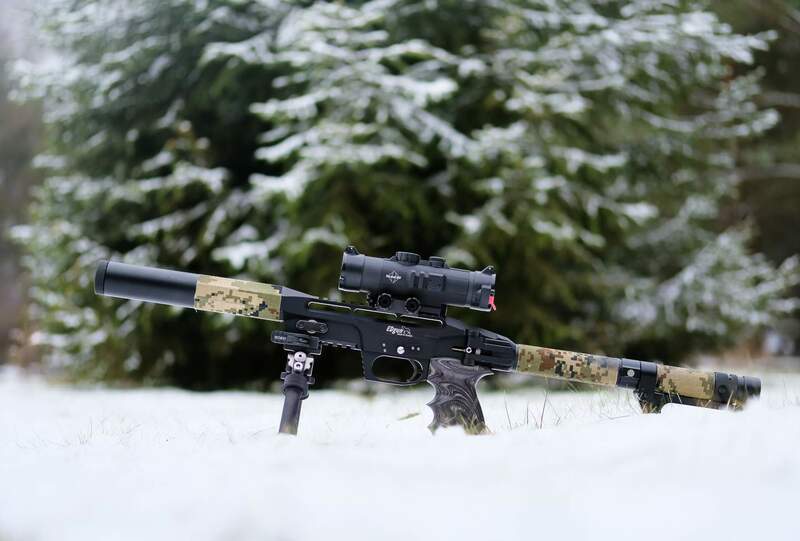 So... as you can see in my EdGun Leshiy review (https://www.itstactical.com/warcom/firearms/edgun-leshiy-subcompact-air-rifle-serious-punch) I've tried couple of compact scopes on my Leshiy (Hawke AirMax 2-7, SWFA 1-4, Leupold EFR and recently also Vortex PST 1-4) but still didn't find my grail compact scope. It was either not compact enough (Hawke), or not favorite reticle (Leupold), or finally lack of parallax adjustment (SWFA, Vortex). And something like March 1-8x24 (with side focus) was simply out of the question money-wise ($2.600). 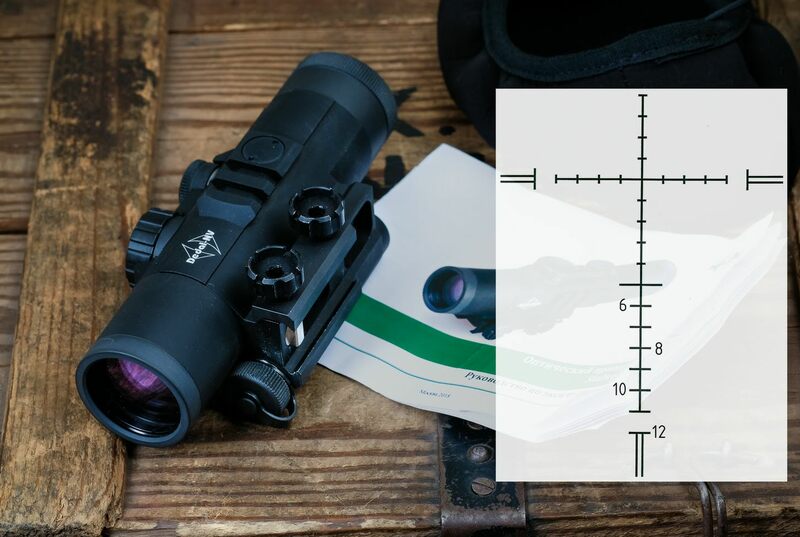 I was also considering Vortex PST II 1-6x, mainly for 6x combined with good reticle and top-class glass, but without parallax adjust it would be still less than perfect at ranges below 50y, and at that price I'd expect perfect answer for my needs. So... fixed 6x with adjustable parallax should be a really sweet spot for me. 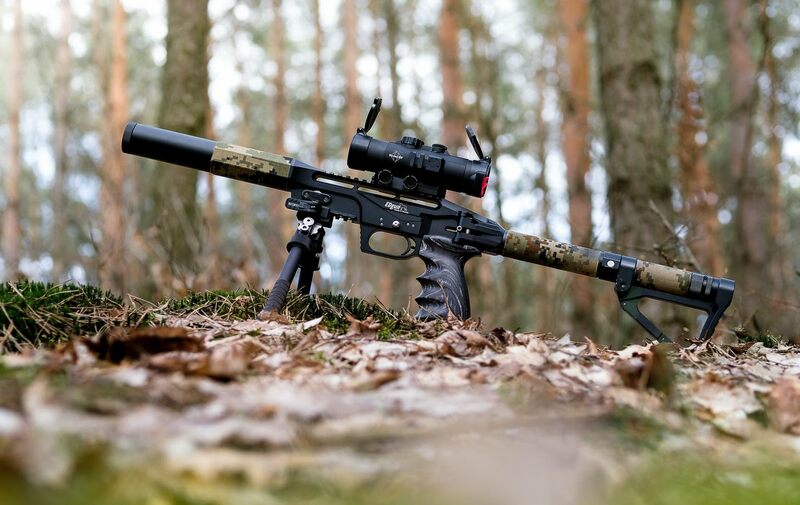 Plus very good glass and very usable airgun-oriented reticle with a lot of reference points for distance compensation. So when I spotted that Stalker 6x on youtube and during IWA I just had to get it! And with some help of my friend who was in Germany at that time I was able to get one shipped to me when they closed the door of IWA show. Just a scope and manual (since it's 'demo' piece) so no chance for original unboxing pictures. And except a small mark on the body (from mounting I guess) it was in perfect condition. Even battery was already installed. Nice! Overall this thing is super solid. Oh, and it's weatherproof too, everything is sealed with o-rings. Integral mount makes installation super easy... no need to align the crosshair with vertical line, etc. 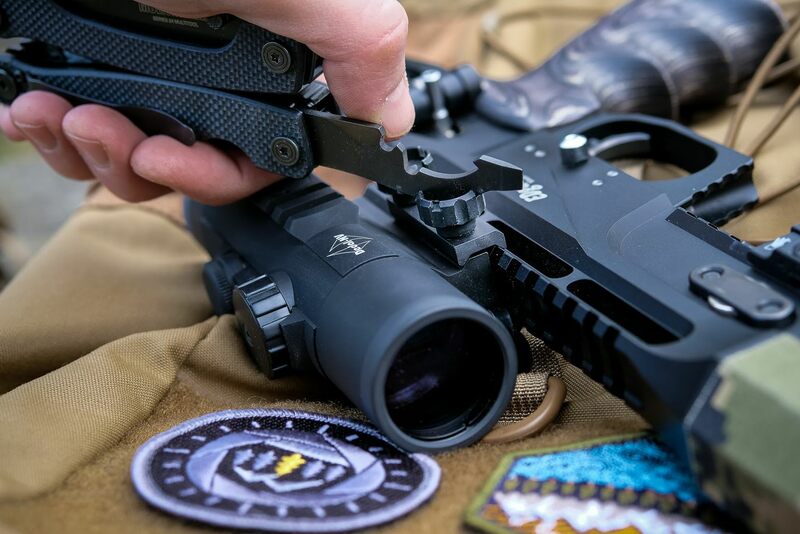 Just grab a tool, put scope on rail, tighten screws. Done. BTW, Multitasker Series 3 has a tool so perfectly fitted that it must have been done especially for this Stalker, lol! 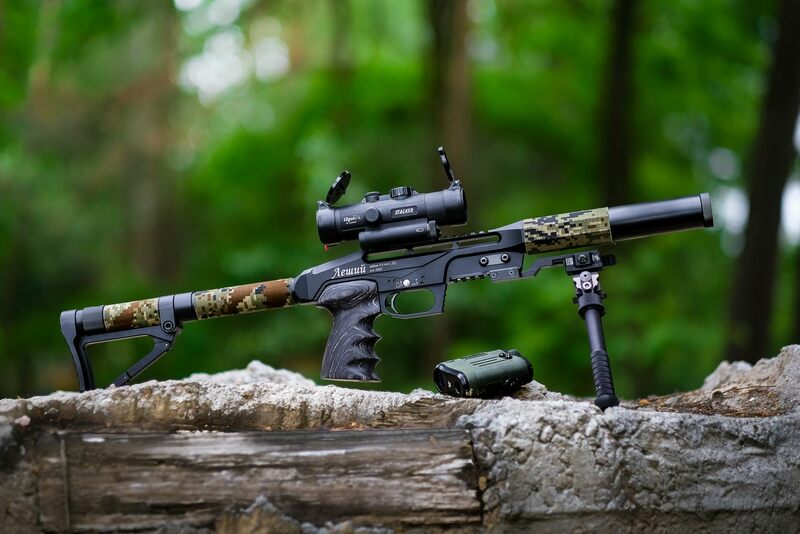 EdGun Stalker 6 (made by Dedal Optics) surely isn't a budget option at about $800. And who is Dedal? Well, they're best known for night vision equipment, which is one of the best worldwide quality-wise. Actually I'm not surprised that Ed decided to cooperate on his scope locally with Dedal in Russia instead of outsourcing it in China or Thailand. The quality is simply stunning, STUNNING. 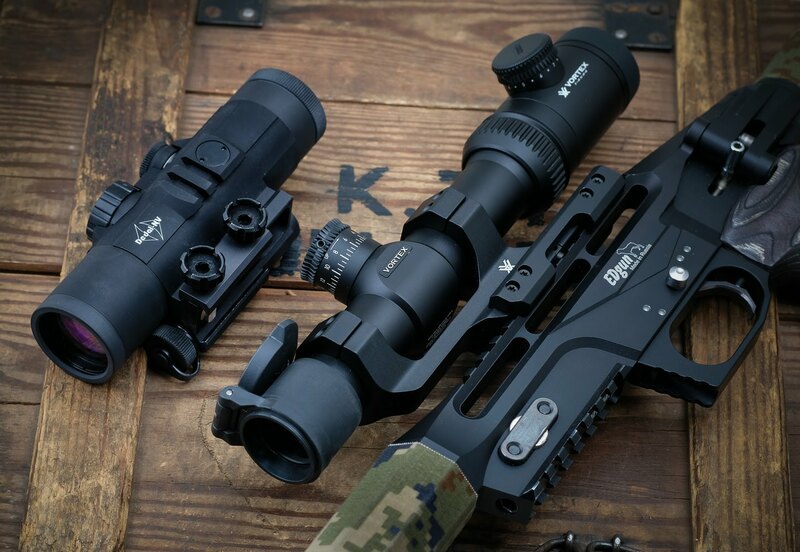 And just for reference - the prices for Dedal Optics NV scopes are anything between 5 and 15 k$. It's all in-house production, approved by Special Forces in many countries. So for your money you get the same top quality. Note also the Butler Creek flip-up cover on the scope. I tried some and for me the best setup is: OBJ size 15 and EYE size 11. OK, just a quick pic of the reticle - it's a good day for that as it's really foggy & rainy so the reticle nicely stands out. It is thin and crisp, yet clear enough for most shooting application (except benchrest maybe, but it's a 6x scope after all). And now Stalker 6 reticle is available also on Strelok Pro App. 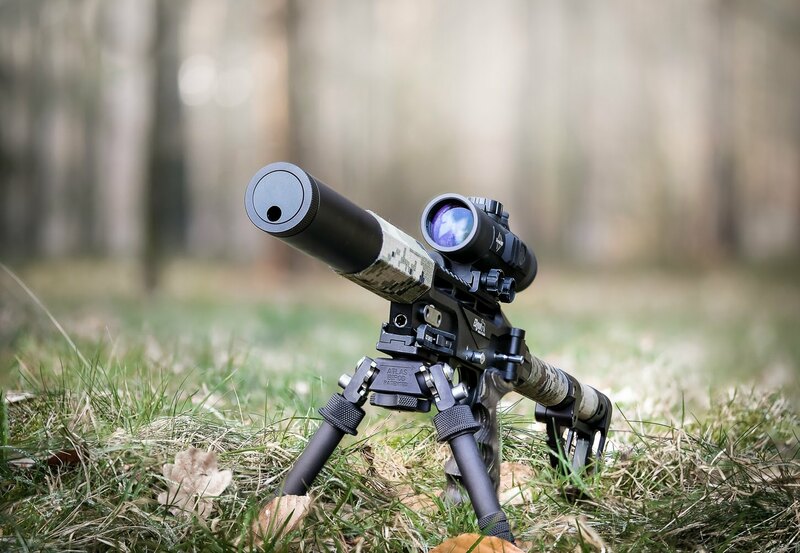 And that makes which makes a complete shooting system: the gun, the scope, and ballistic software. Illumination is very good and it illuminates the whole reticle in red, not just a center section. Illumination is usable in a daylight in the shade, bush, woodland - so just when you need it. Of course it's not helping when shooting in a full sun, but why bother with illumination under such conditions? There are 6 illumination levels and the scope always use the last setting when turned off and on. You can adjust the parallax via that bold black knob on top. It's not an obvious choice but in this case it works pretty damn well and it's equally good for left and right hand shooters. It's a good thing... ask any southpaw for opinion what is better, top knob or left-side focus wheel. Worth noting - parallax adjustment is not marked so you can't use it for range finding. And it works in both directions without a hard stop, so you just grab it and turn in any direction until you have a crisp picture. Fast and easy. Some more Leshiy / Stalker shooting recently. 50y with JSB Exact 4.52mm via 295mm custom barrel and Donny FL suppressor -> the inner circle is 1" diameter so I guess it's half inch easily. And just for fun the same distance with JSB Ultra Shock... not so bad for hollow point but I'll stick to Exact for sure. As I said it's now a complete shooting system, which delivers great accuracy and is tough as nails. 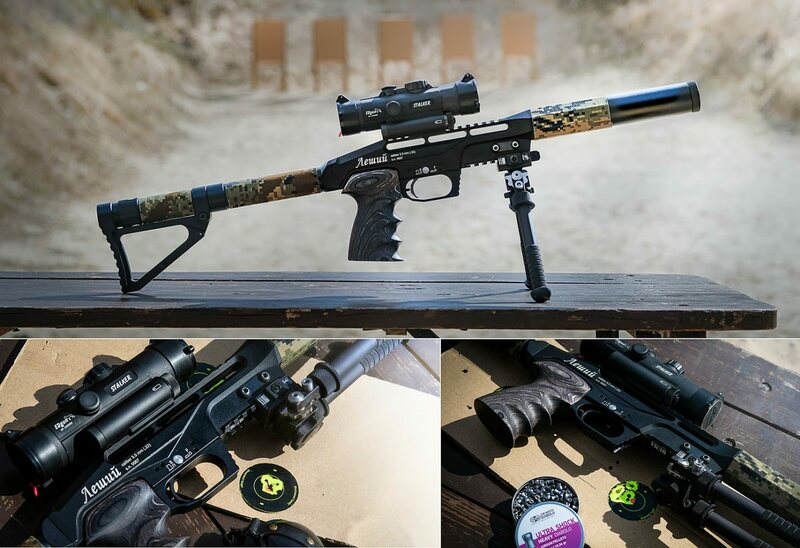 Every component: airgun, scope, Atlas bipod. 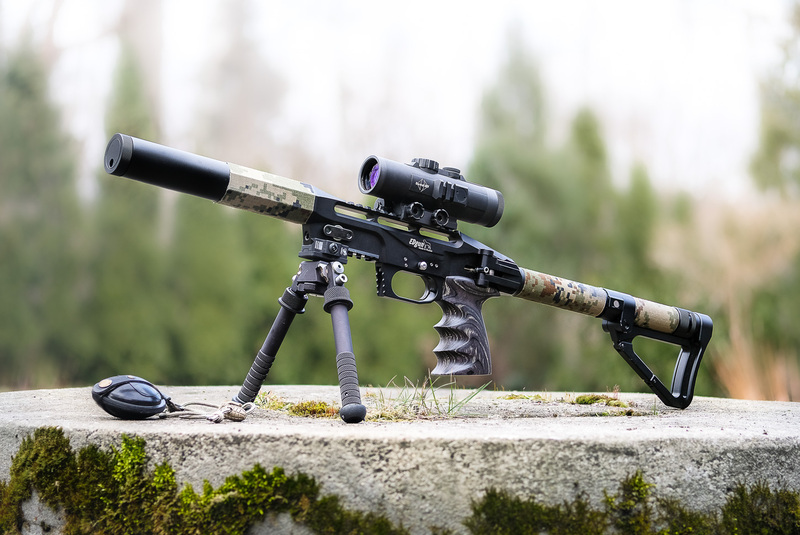 It's easy to adapt for any shooting scenario thanks to huge tuning possibility, interchangeable barrels (both caliber and length) and great ballistic App with Stalker 6 implemented. Plus Vortex Ranger 1000 rangefinder... a must for accuracy in the field.